Have you heard of the bamboo-bag? Neither had I. My friend, former Cook'n Newsletter author and expert artisan bread maker, Jeanne Wolfley, told me about them. She loves hers and wonders how she functioned as a bread maker so long without it. Bamboo-bags are made for people who want to use fewer paper and plastic bags-people who care about the environment and care about their bread. The bread that especially benefits from storage in a bamboo-bag is the kind with a chewy outer crust (French baguettes, round artisan loaves, ciabatta, challah, etc.) 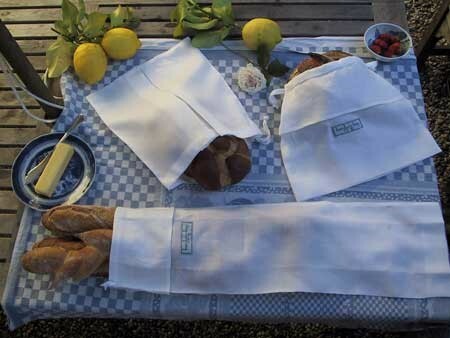 Most are made in California from 100% retted bamboo fabric (using mechanical rather than chemical means) and are designed especially for carrying and storing bread. Why bamboo cloth? For some very good reasons. First, let's look at why using bamboo cloth is so good for the planet. The website, bamboo-bag.com, explains that bamboo is an arborescent grass (woody stems with grass-like foliage) that range from 10 cm to 20 m tall. China, with 300 different species, is the world's largest producer. 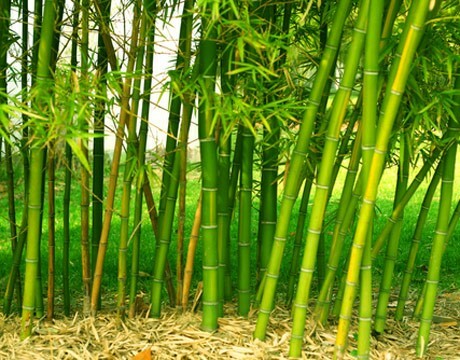 Bamboo is a perennial with upright stems, called culms or canes. These canes are at least 50% vascular bundles, which means they absorb moisture like a sponge. The plant can grow at an unparalleled rate of 1 meter per day, reaching its mature height within a few months. This means that as the fastest growing grass in the world, it replaces itself quickly, so it's a highly sustainable crop. It also has a shallow root system and therefore doesn't leech nutrients from the soil the way most crops do. It typically grows well in poor soil that is unusable for other crops, and it is often planted to rehabilitate degraded areas (due to heavy rains and earthquakes). Bottom line, bamboo is environmentally friendly, a valuable renewable resource. And it's an extremely versatile material. Its canes are used to make paper, agricultural tools, musical instruments, fishing equipment, paper, textiles, flooring, kitchen utensils, and handicrafts. But here's the big deal for serious bread makers: Bamboo is being used for bread bags because it is antifungal and antibacterial. In fact, this fabric will maintain its antibacterial function after fifty washes-no small thing in the world of textiles. Also, bamboo fibers are porous. 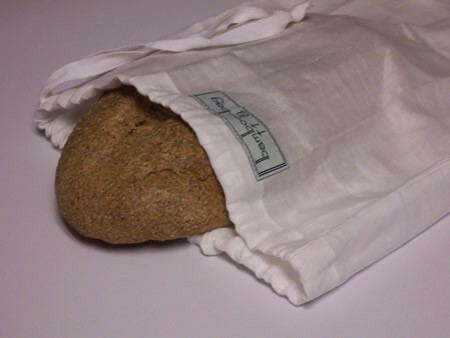 This fabric has the same surface properties and wicking capacity as cotton, but with even more water absorbing capacity-making it the perfect container for preventing mold growth on breads. Yet as it retains moisture it also breathes, which is why those crusty artisan breads can keep their crustiness. The LOAF POUCH is 11 inches long, 14 inches wide. 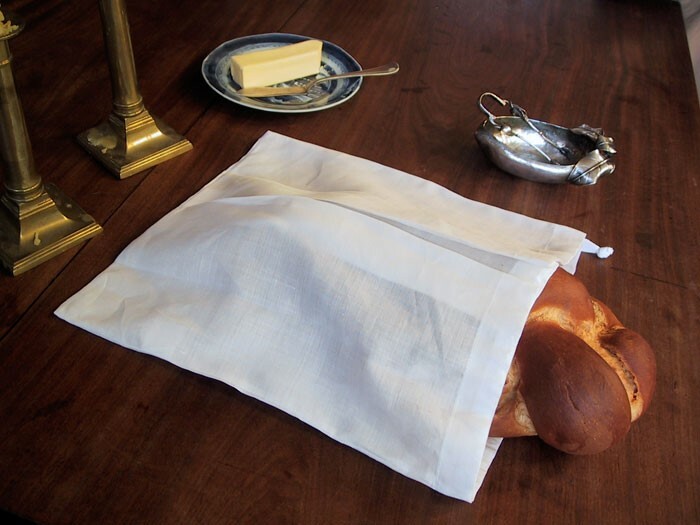 It holds two one pound loaves or a challah bread. The TURTLE BAG is 13.5 inches long, 13.5 inches wide at bottom, with an opening of 30 inches in circumference. And then there's the BAGUETTE QUIVER. It's 27 inches long, with almost a 16 inch opening. It holds up to three baguettes. Finally, while bamboo is the perfect textile material and simply the ideal environment for your bread (keeping it fresher MUCH longer), bamboo-bags are a little pricey. The three different sizes average around $16 each. But considering all their benefits and that they're reuseable, the cost averages out over time. 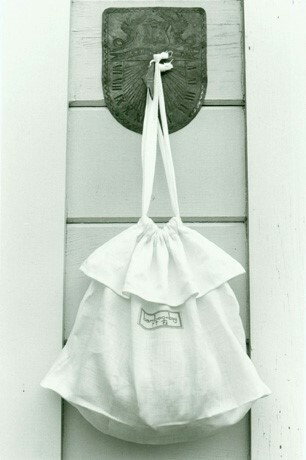 So if this is a product you think you would want, you'll find it at www.bamboo-bag.com. Meanwhile, you know the old saying? "It's the best thing since sliced bread!"